Dublin Rathdown deputy Josepha Madigan wants a referendum on Article 41.2.1 of Bunreacht na hÉireann. A FINE GAEL TD wants any mention of women’s role within the home removed from the Irish Constitution. 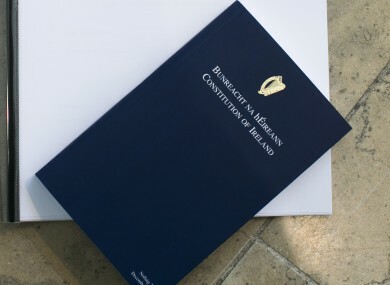 Dublin Rathdown deputy Josepha Madigan wants a referendum on Article 41.2.1 of Bunreacht na hÉireann, which deals specifically with the role and rights of women. Three different reports, as well as the 2013 Constitutional Convention, recommended the abolition or reform of the clause. The article has been used in legal cases around gender discrimination and recognition of work done in the home. In L v. L (1989) Judge Barr in the High Court argued that Article 41.2 obliged the courts to have regard to work done as a home maker in calculating a wife’s share in the matrimonial home. In DT v CT, (2002) Article 41.2.1º was cited by two members of the Supreme Court, Judges Denham and Murray, in support of the view that, in deciding whether proper provision had been made for a spouse for the purposes of the divorce jurisdiction in Article 41.3.2º, regard had to be had to the work of a spouse caring for dependants, the family and the home. Whyte adds that the article was unlikely to be used to force the state improve financial supports for women. Given that tax and social welfare matters directly affect public expenditure, and that decisions on public expenditure are regarded as the preserve of the Oireachtas and the executive, it is unlikely that the courts would use Article 41.2.2 to impose additional financial obligations on the State to support mothers in the home. Madigan said the clause was an anachronism that is not reflective of today’s Ireland. Until 1973 the marriage bar restricted the employment of married women, often resulting in termination of employment. There was never an economic rationale behind the marriage bar, 1973 was far too late for its abolition- but 44 years later it is ludicrous that the backwards thinking behind the bar remains enshrined in our Constitution. Orla O’Connor from the National Women’s Council of Ireland (NWCI) said the clause has more symbolic power than real. The Article is completely outdated and doesn’t reflect the society we have or want. It’s the symbolic nature of it. The Constitution should be about espousing the qualities and values we want. It is in the background on many policies and attitudes in society. The NWCI is committed to a referendum repealing the Article, but says its priority is a referendum on the Eighth Amendment. Email “The Irish Constitution still makes reference to woman's place in the home”. Feedback on “The Irish Constitution still makes reference to woman's place in the home”.